... still enjoying this stitch immensely!! Love the colors, love your fabric! It is looking fabulous, Edgar. Wow, it's moving along quickly... looking good! What beautiful soft colours Edgar, it's a lovely stitch. Dearest Edgar: This is a beautiful design, you are so close to the finish. Just beautiful!! 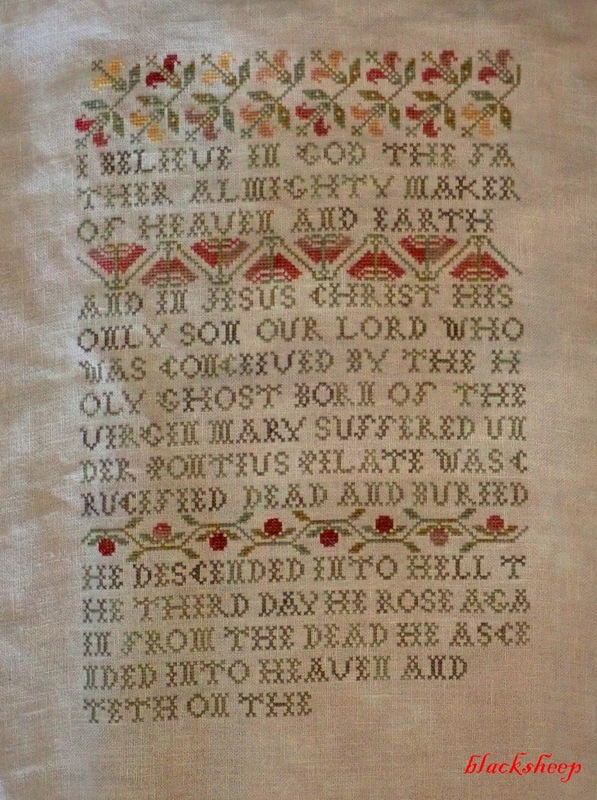 Is it at all boring to stitch so much lettering? That is my only question about the design. I would very much like to stitch it. Moving along quickly, I love to stitch words they go so fast. Stitching three letters feels like a finish! It very nice! !Have a good week!